Hello! Happy Sunday! I hope you're having a great weekend! 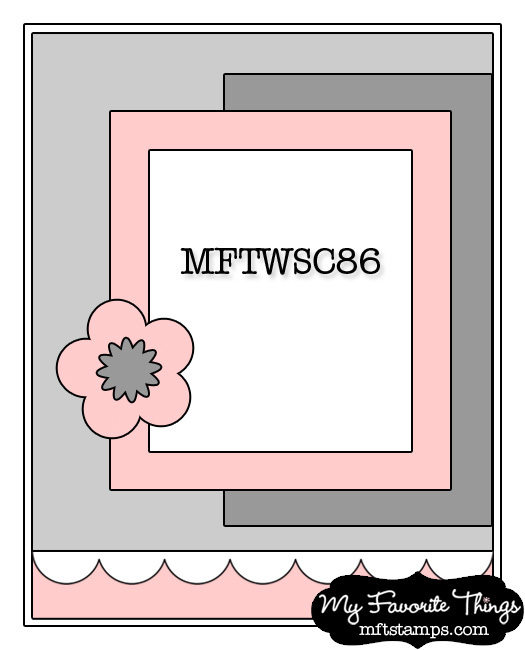 I have a card to show you that I made using the latest MFTWSC86 sketch. I used Pure Innocence Birthday Girl today. I pieced her dress, then while looking at the sketch, I envisioned a picture frame or window, so I die cut just a portion of her and framed her. 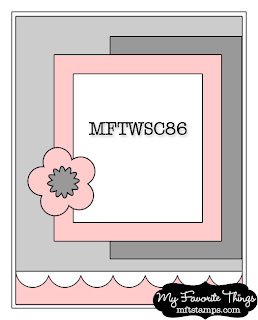 I added a decorative border at the bottom with the Die-namics Solid Bracket Border. I also added a trio of roses using the Die-namics Mini Royal Roses Die. 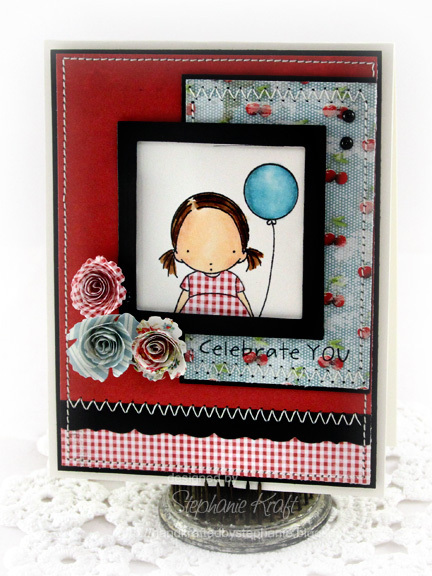 Accessories: Die-namics Solid Bracket Border, Die-namics Mini Royal Roses Die (MFT); Classic Square Nestabilities - SM & LG (Spellbinders), Markers (Copic), Pearls (Prima), Foam tape, Thread, Sewing machine. Such a cute image and I love her gingham dress! The rolled roses and stitched detail is fabulous. Great card! 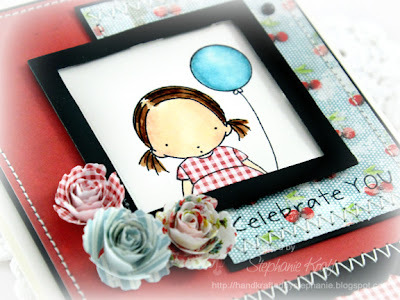 Love the rolled flowers and the frame around the image is fabulous! I LOVE the dark frame around her and the three rolled flowers are perfect in the corner!!! !